Wales flanker Dan Lydiate has become the second player to sign a National Dual Contract between the Welsh Rugby Union and the Regions after Wales Captain Sam Warburton. 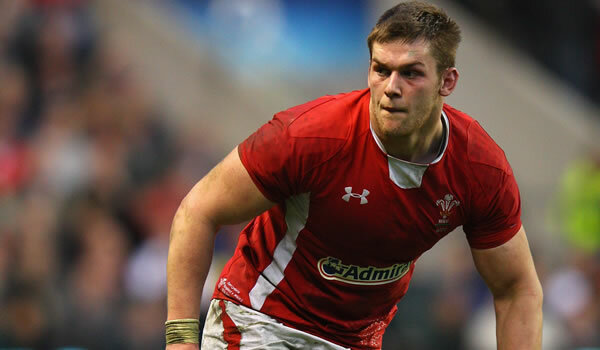 Lydiate was released from his contract with French Top 14 Rugby club Racing Metro and will play for the Ospreys. The international flanker will start training with his new Ospreys team mates this week and will be available for selection next week. Under the terms of the Rugby Services Agreement players returning to Wales are expected to return to their Regions of origin but Lydiate has chosen to join the Ospreys principally for family reasons and has personally discussed the move with his former Dragons employers. Lydiate headed the list of 12 players who have been offered National Dual Contracts and more signings are due to take place from that list shortly as negotiations advance. The list was drawn up by the Wales Head Coach Warren Gatland who has liaised closely with the Regions regarding all the players he wants to secure on NDC’s. The recently signed Rugby Services Agreement is the first contract between the WRU and the Regions which contains a commitment to the radical new contracts. Players holding the new contracts will be managed regarding their playing commitments and welfare each season. Under the terms of the RSA £8.7m a year is allocated from the WRU for the Regions to spend on Welsh qualified players with £2m of that investment for NDC’s which is topped up to £3.3m with a commitment of £1.3m from the Regions. Lydiate said,”I am delighted to have secured a National Dual Contract and I am looking forward to doing my best for the Ospreys while I aim to win selection for Wales. “Having a National Dual Contract gives me the certainty I need for my future and I will now be able to concentrate one hundred per cent on my rugby. The WRU Group Chief Executive, Roger Lewis, said,”This is a landmark day for Welsh rugby and I am grateful to all involved for the level of cooperation this signifies. “National Dual Contracts will help us keep international class talent here in Wales available for Regional rugby and for international selection. “The WRU has been actively attempting to introduce National Dual Contracts for some two and a half years so securing Dan as a National Dual Contract player is a significant step forward. “Dan Lydiate suddenly became available while Warren was preparing his list of National Dual Contract candidates which offered us the opportunity to bring a key international player back to Wales. “All the players on National Dual Contracts will get the best coaching and conditioning while having their careers managed in ways which will ensure they achieve and maintain their full potential with the Regions and Wales. The Head Coach of Wales, Warren Gatland, added,”This is an important step forward for Welsh rugby and will reap rewards in playing standards over the long term. “Any player on a National Dual Contract will remain in Wales with a Region where their development and welfare can be monitored by me and my national squad coaches and conditioners. “I want to personally thank the staff from each of the four Regions for their help in getting the National Dual Contracts up and running. The WRU Chairman, Gareth Davies said,”I am delighted Dan has chosen to return to the UK to commit his future to the Ospreys and to Wales. “When he was released by Racing Metro it offered us a special opportunity and I am extremely pleased we have been able to bring a player of his undoubted calibre back home. “His decision will send a message out to Welsh qualified players that staying in Wales under the protection of a National Dual Contract offers a great opportunity. “Our supporters know that we have worked tirelessly to get ourselves into a strong position to be able to attract players of Dan’s calibre to the Region, and we would like to thank them for helping to make this happen. “As far as we understand, Dan chose the Ospreys based on the investment we have put into creating a world class environment. Twenty six year old Lydiate has been capped 41 times by Wales and featured in all three tests for the British and Irish Lions in the victorious 2013 tour of Australia. He made his RBS Six Nations debut in 2011, helped Wales to a Grand Slam in 2012 and also won the Player of the Tournament title that year.